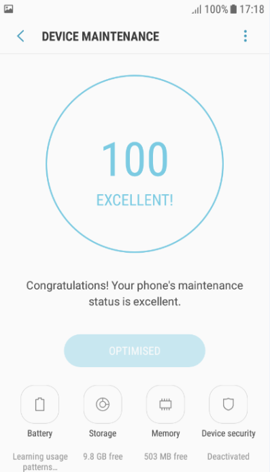 [Galaxy J series 2017] What is Device maintenance feature? storage, RAM, and system security. You can also automatically optimize the device with one tap of your finger.